Folia Ochronna ProtectorPLUS HQ MATTE do Samsung Galaxy S3 i9300 i9305 NOWOŚĆ! Przeciwodblaskowa folia na płaską powierzchnię szybki wyświetlacza. Folia Ochronna ProtectorPLUS HQ Ultra Clear do Samsung Galaxy S3 i9300 i9305 NOWOŚĆ! Wytrzymała i klarowna folia na wyświetlacz. Wytrzymała i klarowna folia na wyświetlacz. Bezklejowa. 100% bezpieczeństwa. Folia Ochronna ProtectorPLUS HQ MATTE do Nokia LUMIA 710 NOWOŚĆ! Folia Ochronna ProtectorPLUS HQ UltraClear do Nokia LUMIA 710 NOWOŚĆ! Folia Ochronna ProtectorPLUS HQ MATTE do Nokia LUMIA 720 NOWOŚĆ! Folia Ochronna ProtectorPLUS HQ UltraClear do Nokia LUMIA 720 NOWOŚĆ! Folia Ochronna ProtectorPLUS HQ UltraClear do Nokia LUMIA 800 NOWOŚĆ! Folia Ochronna ProtectorPLUS HQ MATTE do Nokia LUMIA 820 NOWOŚĆ! Folia Ochronna ProtectorPLUS HQ UltraClear do Nokia LUMIA 820 NOWOŚĆ! Folia Ochronna ProtectorPLUS HQ MATTE do Nokia LUMIA 900 NOWOŚĆ! Folia Ochronna ProtectorPLUS HQ UltraClear do Nokia LUMIA 900 NOWOŚĆ! Folia Ochronna ProtectorPLUS HQ MATTE do Nokia LUMIA 920 NOWOŚĆ! Folia Ochronna ProtectorPLUS HQ UltraClear do Nokia LUMIA 920 NOWOŚĆ! Folia Ochronna ProtectorPLUS HQ UltraClear do Nokia Asha 311 NOWOŚĆ! Folia Ochronna ProtectorPLUS HQ MATTE do Nokia Asha 311 NOWOŚĆ! Folia Ochronna ProtectorPLUS HQ MATTE do Nokia Asha 310 NOWOŚĆ! Folia Ochronna ProtectorPLUS HQ UltraClear do Nokia Asha 310 NOWOŚĆ! Folia Ochronna ProtectorPLUS HQ UltraClear do Nokia Asha 309 NOWOŚĆ! Folia Ochronna ProtectorPLUS HQ MATTE do Nokia Asha 309 NOWOŚĆ! Folia Ochronna ProtectorPLUS HQ MATTE do Nokia Asha 308 NOWOŚĆ! Folia Ochronna ProtectorPLUS HQ UltraClear do Nokia Asha 308 NOWOŚĆ! Folia Ochronna ProtectorPLUS HQ MATTE do Nokia Asha 306 NOWOŚĆ! Folia Ochronna ProtectorPLUS HQ UltraClear do Nokia Asha 306 NOWOŚĆ! Folia Ochronna ProtectorPLUS HQ MATTE do Nokia Asha 305 NOWOŚĆ! Folia Ochronna ProtectorPLUS HQ UltraClear do Nokia Asha 305 NOWOŚĆ! Folia Ochronna ProtectorPLUS HQ UltraClear do Nokia Asha 303 NOWOŚĆ! Folia Ochronna ProtectorPLUS HQ MATTE do Nokia Asha 303 NOWOŚĆ! Folia Ochronna ProtectorPLUS HQ UltraClear do Nokia Asha 302 NOWOŚĆ! Folia Ochronna ProtectorPLUS HQ MATTE do Nokia Asha 302 NOWOŚĆ! Folia Ochronna ProtectorPLUS HQ MATTE do Nokia Asha 300 NOWOŚĆ! Folia Ochronna ProtectorPLUS HQ MATTE do Samsung Galaxy S II Plus i9105P NOWOŚĆ! Folia Ochronna ProtectorPLUS HQ UltraClear do Samsung Galaxy S II Plus i9105P NOWOŚĆ! Folia Ochronna ProtectorPLUS HQ MATTE do Samsung Galaxy S Duos S7562 NOWOŚĆ! Folia Ochronna ProtectorPLUS HQ UltraClear do Samsung Galaxy S Duos S7562 NOWOŚĆ! Folia Ochronna ProtectorPLUS HQ MATTE do Samsung Galaxy Young S6310 NOWOŚĆ! 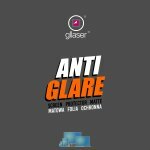 Folia Ochronna ProtectorPLUS HQ UltraClear do Samsung Galaxy Young S6310 NOWOŚĆ! Folia Ochronna ProtectorPLUS HQ MATTE do Samsung Omnia M S7530 NOWOŚĆ! Folia Ochronna ProtectorPLUS HQ UltraClear do Samsung Omnia M S7530 NOWOŚĆ! Folia Ochronna ProtectorPLUS HQ MATTE do Samsung Galaxy S IV i9500 NOWOŚĆ! Folia Ochronna ProtectorPLUS HQ UltraClear do Samsung Galaxy S IV i9500 NOWOŚĆ! Folia Ochronna ProtectorPLUS HQ MATTE do Samsung Galaxy Mini s5570 NOWOŚĆ! Folia Ochronna ProtectorPLUS HQ UltraClear do Samsung Galaxy Mini s5570 NOWOŚĆ! Folia Ochronna ProtectorPLUS HQ MATTE do SONY Xperia Z NOWOŚĆ! Folia Ochronna ProtectorPLUS HQ UltraClear do SONY Xperia Z NOWOŚĆ! Folia Ochronna ProtectorPLUS HQ MATTE do LG Google Nexus 4 E960 NOWOŚĆ! Folia Ochronna ProtectorPLUS HQ UltraClear do LG Google Nexus 4 E960 NOWOŚĆ! Folia Ochronna ProtectorPLUS HQ MATTE do LG P350 Swift Me NOWOŚĆ! Folia Ochronna ProtectorPLUS HQ UltraClear do LG P350 Swift Me NOWOŚĆ! Folia Ochronna ProtectorPLUS HQ MATTE do LG P500 Swift Plus NOWOŚĆ! Folia Ochronna ProtectorPLUS HQ UltraClear do LG P500 Swift Plus NOWOŚĆ! Folia Ochronna ProtectorPLUS HQ MATTE do LG P880 Swift 4X HD NOWOŚĆ! Folia Ochronna ProtectorPLUS HQ UltraClear do LG P880 Swift 4X HD NOWOŚĆ! Folia Ochronna ProtectorPLUS HQ MATTE do LG P920 Optimus Swift 3D NOWOŚĆ! Folia Ochronna ProtectorPLUS HQ UltraClear do LG P920 Optimus Swift 3D NOWOŚĆ! Folia Ochronna ProtectorPLUS HQ MATTE do LG P970 Swift Black NOWOŚĆ! Folia Ochronna ProtectorPLUS HQ UltraClear do LG P970 Swift Black NOWOŚĆ! Folia Ochronna ProtectorPLUS HQ MATTE do LG P990 Optimus X2 NOWOŚĆ! Folia Ochronna ProtectorPLUS HQ UltraClear do LG P990 Optimus X2 NOWOŚĆ! Folia Ochronna ProtectorPLUS HQ MATTE do LG T310 Cookie Style NOWOŚĆ! Folia Ochronna ProtectorPLUS HQ UltraClear do LG T310 Cookie Style NOWOŚĆ! Folia Ochronna ProtectorPLUS HQ MATTE do LG T500 Ego NOWOŚĆ! Folia Ochronna ProtectorPLUS HQ UltraClear do LG T500 Ego NOWOŚĆ!